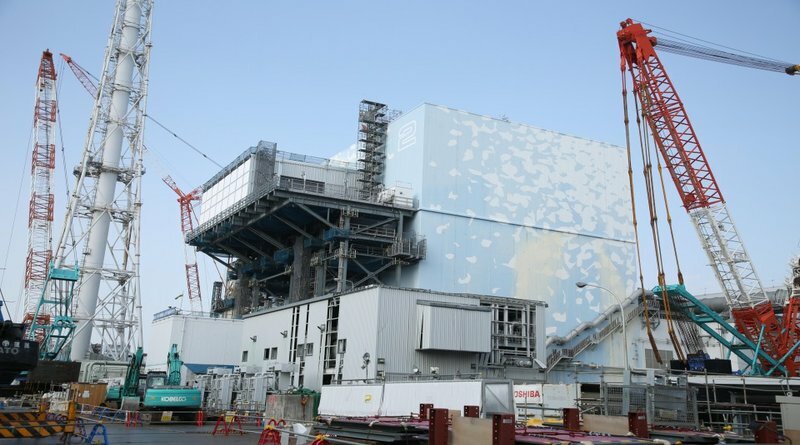 TEPCO has been quite secretive about the decommissioning work for unit 2’s refueling floor. A platform has been under construction for months that would allow easier access to the refueling floor. This new platform now includes what appears to be a sealed building. The details of the plan that have been provided indicated there is some plan to clean the refueling floor area and then eventually removal the walls and roof. This would prepare the building to receive a new defueling building similar to the concepts for units 1, 3 and 4. TEPCO has not made clear how this wall and roof removal work will be done and assure contamination will not be released to the environment. A sealed door and HEPA filter system were installed on the blow out panel of unit 2 after it was discovered that this was a major source of contamination to the environment after the initial disaster. Installation of this system drastically reduced contamination released to the environment on a daily basis. Deeper details of this work such as what remote controlled equipment would be used or how larger pieces of equipment would be removed from the building are not explained.